You could fill a room with a full set of 8 pairs of dumbbells. 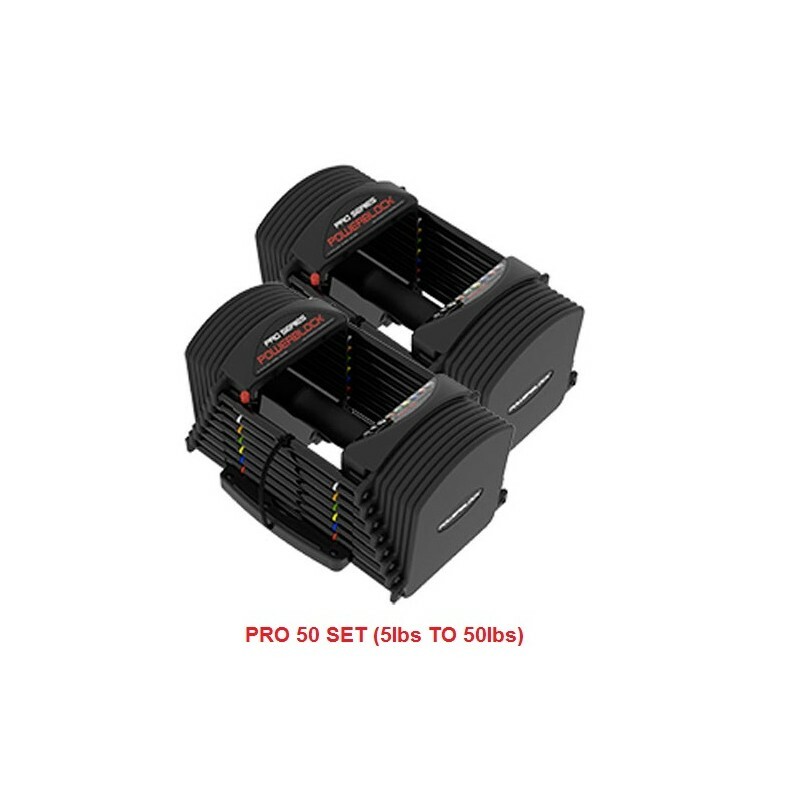 Or, you could choose a set of PowerBlock Pro 50 Set (5-50lbs) Adjustable Dumbbells! With PowerBlock Adjustable Dumbbells, you get the effectiveness of a full set of dumbbells, all in a single compact set. You’re able to pack lots of exercise power into a very small space! The Pro 50 Set allows you to select different weights for each dumbbell by inserting the in into the weight stack. To change the weight, just move the selector pin into the appropriate weight slot. Create dumbbells that range in weight from 5 to 50 lbs – replacing 20 pairs of conventional dumbbells! 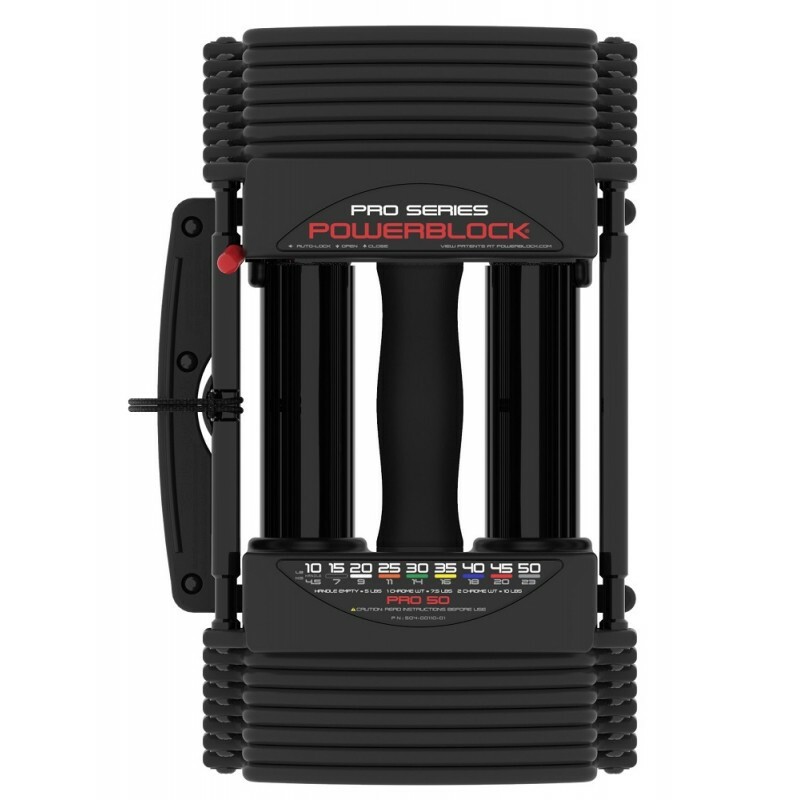 PowerBlocks are perfectly balanced, and designed for any exercise you’d normally use dumbbells for. 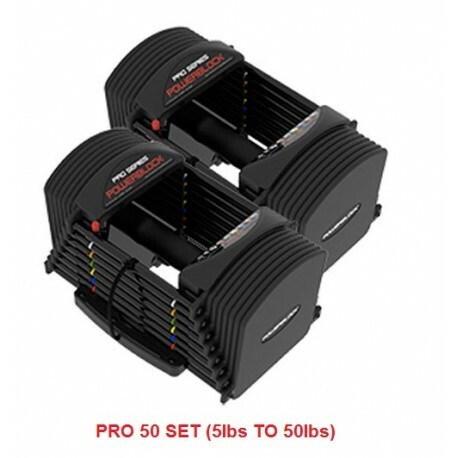 And, the PowerBlock Pro 50 Set is the perfect choice for your home – not only taking up far less space than standard dumbbells, but it’s a more cost-effective choice as well!